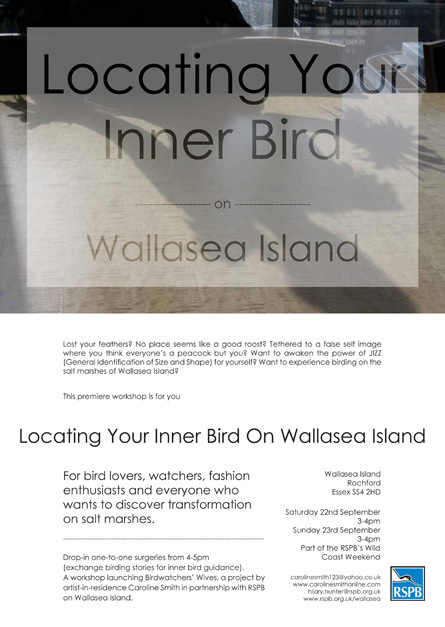 I’m very excited to announce my Locating Your Inner Bird FREE open workshops to kickstart my residency for the RSPB on Wallasea Island. This project is the first of two dazzlingly new art initiatives as I leave the University of Greenwich after ten years! !